310/365. 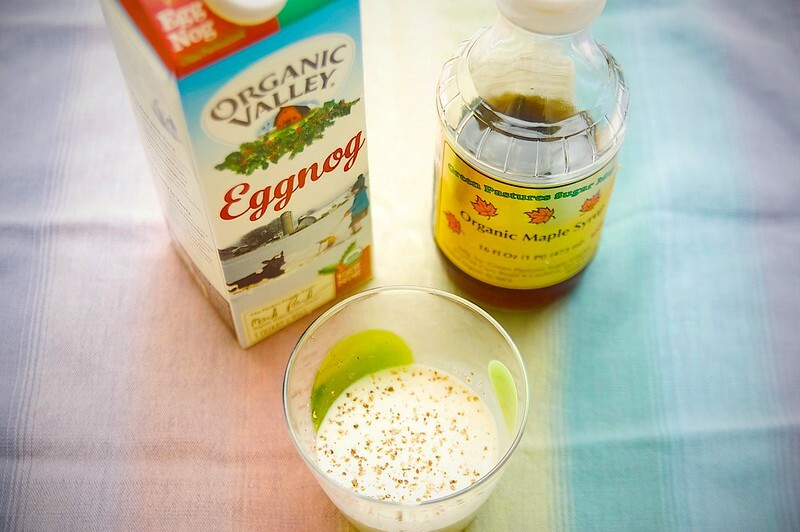 recipe: maple eggnog with freshly grated nutmeg. since we’re getting into the swing of eggnog season, i thought it’d be fun to do a semi-occasional series on some of my favorite eggnog drink recipes. some will probably contain alcohol, but not this one. it’s super simple to make and really tasty. resist the temptation to overdo the maple syrup. the ratios provided give the eggnog just the right amount of maple flavor without overpowering it. combine eggnog and maple syrup and chill. top with grated nutmeg and enjoy! Previous Postsome of you will be deciphering cuneiform tweets this christmasNext Postday 4146 – 311/365. hockey evals.